U.S. Soldiers and NATO partners conduct a live-fire exercise with Patriot and Stinger missiles in Chania, Greece, during Exercise Artemis Strike, Nov. 11, 2017. The demand for space and missile defense capabilities continues to grow in response to the complex array of challenges to our nation from foreign adversaries, said the U.S. Army Space and Missile Command/Army Forces Strategic Command’s senior civilian leader. James Johnson, USASMDC/ARSTRAT’s deputy to the commander, discussed the increasingly complex threat environment during the AUSA Missile Symposium in Huntsville, Ala., July 10. Supporting those overmatch efforts, Johnson said SMDC provides critical technologies to address future needs that will enhance war fighter effectiveness. Technologies like the command’s high energy laser effort, microsatellite development and threat-representative low cost targets are key projects supporting Army modernization. “We must remain bold and innovative, offering solutions to ensure our nation’s forces are prepared to fight across multiple domains,” Johnson said. Highlighting preparedness, Johnson pointed out that SMDC provides trained and ready missile defense forces and capabilities to the global combatant commands. SMDC Soldiers serving in the United States and in remote and austere forward-deployed locations operate the Ground-based Midcourse Defense system, the Army-Navy/Transportable Radar Surveillance Forward-Based Mode radars, and the Joint Tactical Ground Stations. 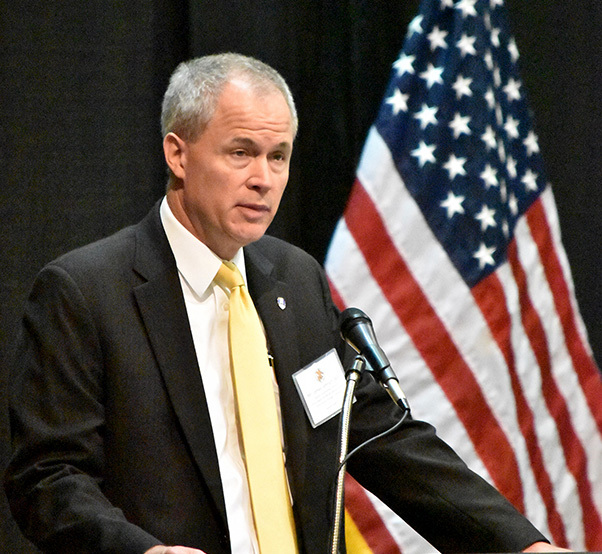 James Johnson, deputy to the commander of the U.S. Army Space and Missile Command/Army Forces Strategic Command, speaks on the growing demand for space and missile defense capabilities at the AUSA Missile Symposium in Huntsville, Ala., July 10, 2018. Part of preparing trained and ready missile defense forces includes providing relevant and updated training to those Soldiers operating global missile defense systems. The rigor of the command’s missile defense courses earned SMDC recertification as an Army Learning Institute of Excellence, Johnson said. 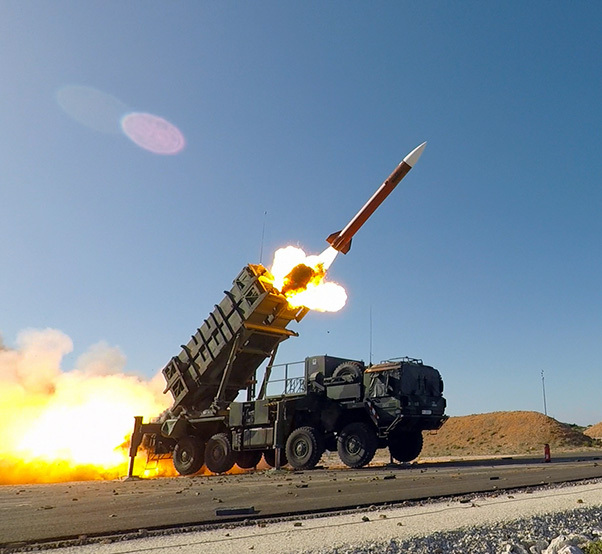 As a recognized Army Center for Analysis, SMDC conducts studies to determine how to best meet the Army’s assigned missile defense responsibilities. The command’s analyses support the processes the Army uses to document its missile defense modernization needs, and pursue joint and Army validation of its requirements.